Chances are high that you have come across Craigslist when you are looking to buy items on the Internet, especially when you are looking for fabulous finds through online classifieds. There are many ways to use Craigslist but in order to tap on its full potential, you should get Craigslist proxies so that you can enjoy no-bar access to the website. Craigslist proxies are HTTPS proxies through which one can use to post on the classified ads platform. Because Craigslist can be used for a wide range of purposes, getting proxies to access Craigslist helps you utilize the site more efficiently. You should avoid going for free or cheap shared proxies since there is a high chance these proxies will be banned, and this will limit you from posting on Craigslist successfully. To make multiple posts on Craigslist: When you want to increase your chances of selling an item on Craigslist, the easiest way out is to make multiple posts. For those who have used Craigslist before, your post gets replaced with other users’ posts in terms of the posting sequence. We all know that by having your post near to the top of the page will ensure that more potential buyers will be exposed to your ad, and help you secure the higher chances of closing a sale. Solution to a banned Craigslist account: Some people make mistakes on their Craigslist accounts and they end up breaking rules that lead to their IP address getting banned. When this happens, you can no longer access your Craigslist account. If this has happened to you before, you can use proxies to get back on Craigslist. When you use proxies, your IP address becomes different from the banned one, thereby helping you to get on Craigslist again. 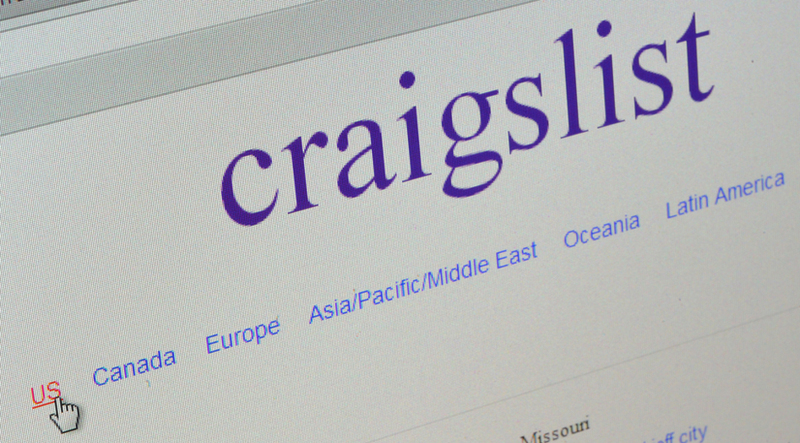 Eliminating location restrictions: If you want to post classified ads in different locations, Craigslist has a policy against that. For example, if you live in Thailand, you won’t be able to post an ad for the United States version of Craigslist. By using a proxy to mask your real IP address, you will be able to post ads in any location you desire. Step 6: Once your proxy is all set up, visit the Craigslist platform to post classified ads at your own time and convenience!